Fancy becoming a member of our MS Community? Join our professional Agile team as a .NET consultant! There’s a whole range of projects waiting for you, within Realdolmen and with our clients. Your chance to get a taste of diverse industries! If you’re a keen problem-solver with solid skills, this is the gig for you. Through functional and technical analyses, you’ll get to figure out just what the client needs, and turn that into a concrete solution. 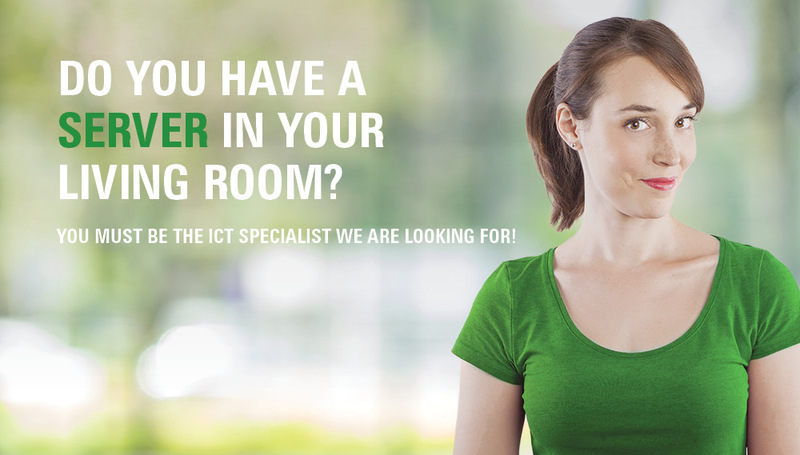 “We make ICT work for your business” is our motto! Joining Realdolmen, you’ll become a part of our very own MSC community where all .NET developers can share their passion and knowledge with others. Connect with great minds and stay ahead of the game with our technical afternoons, evening sessions, hackathons… and much more! An experienced developer, with a real passion for IT? A team player with a critical mind? Born with problem-solving communication in your DNA. Keen to never stop learning? Right at home with acronyms like ASP.NET MVC, WPF, WCF, EF and TFS? Familiar with CQRS, AngularJS and Roslyn? Or perhaps you are already looking them up? Used to writing SOLID or REST in uppercase? Fluent in Dutch and English? Maybe even in French too? The here’s what we’ve got for you! Enjoy a great lifestyle, with perks like an entertainment allowance, a home office allowance, electronic meal vouchers and EcoCheques. Receive new 'Web development, Application development' jobs in Halle straight to your mailbox.